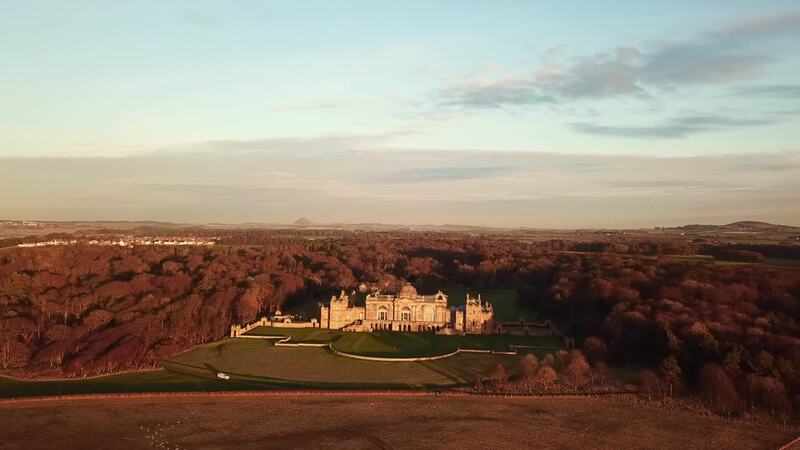 Albacross Imaging created this marvelous aerial view of Gosford House, a well known manor home in Scotland. Situated in the country's East Lothian district, the home was built in the late 18th century. The house has appeared in a number of feature movies, notably The House of Mirth, a 2000 adaptation of the Edith Wharton novel. Description: Gosford House is the family seat of the Charteris family and is situated near Longniddry in East Lothian, Scotland. It was until 2008 the home of the late Rt. Hon. David Charteris, 12th Earl of Wemyss and 8th Earl of March, chief of the name and arms of Charteris.